Hudson Health Plan and MVP Health Care held a Mother's Day Celebration at the Greater Hudson Valley Family Health Center on Saturday, May 9, 2015. 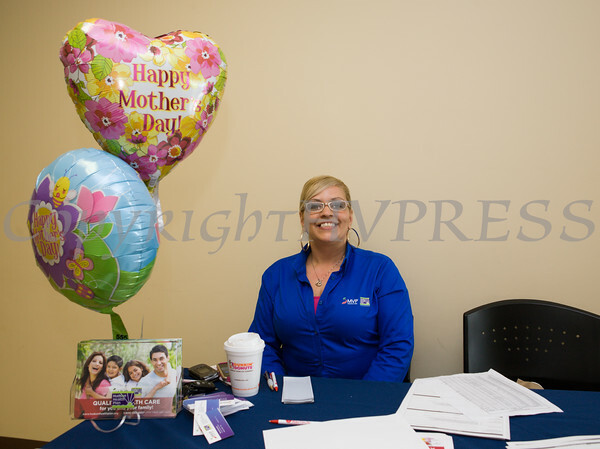 Marisol Guzman greets people attending the Hudson Health Plan and MVP Health Care's Mother's Day Celebration at the Greater Hudson Valley Family Health Center on Saturday, May 9, 2015. Hudson Press/CHUCK STEWART, JR.